We are Concrete Contractors and true to our company name "Taylor Made Concepts" we have a “taylor made” package for you. From a backyard landscaping overhaul right through to project managing your sub division. From small paving & decorative concrete patios right through to large commercial projects. 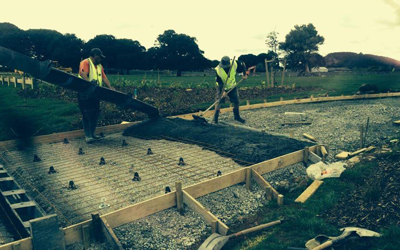 We create beautiful concrete creations over greater Waikato, Auckland through to Northland regions. We specialise in all aspects of hard landscaping projects from new homes to existing household facelifts. If you love rocks, sleepers, boardwalks, stepping stones, & water features then we are able to tailor a personalised package to suit your requirements. 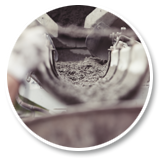 Commercial concrete: We can accommodate all your commercial projects from full contract formwork, foundations, preparation & concrete placement to place & finish only. Decorative concrete: This is our forte with all aspects of stamped (imprint), coloured, exposed pebble, scribed, cut & grout work being undertaken. We can offer endless options for all your patios, footpaths, pool surrounds & driveways. Rural concrete: We are able to offer concrete solutions for feed pads, yard extensions, new cowsheds, dairy overlays & yard conversions. 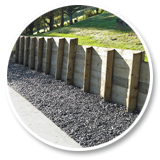 From conventional timber retaining walls to engineered design walls we can accommodate your project from the ground up. We can take care of consents, design & relevant local authority inspections. 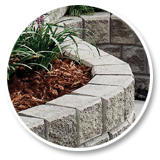 We also provide stunning masonry keystone walls to varying heights & styles. We offer a specialised service to manage all of your individual projects. We take the stress out of organising council or engineer inspections, site meetings, sub trades & supplier deliveries. You can rest easy or take a holiday knowing that your project is being run efficiently & cost effectively in your absence. 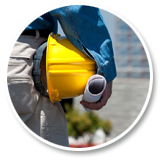 We can oversee any project from residential building & commercial work through to sub divisions. We are a diverse family run business with over twenty years’ experience in the construction industry. We can cater for all your needs with specialised & individual input along with a passion & flare to ensure that all our clients always receive a quality job. All of our work is undertaken with the utmost of pride & care. We treat your job as if it was our own. We also pride ourselves on providing a professional service with excellent client customer relationships. & grout, scribed) driveways, patios, feedpads, commercial projects.